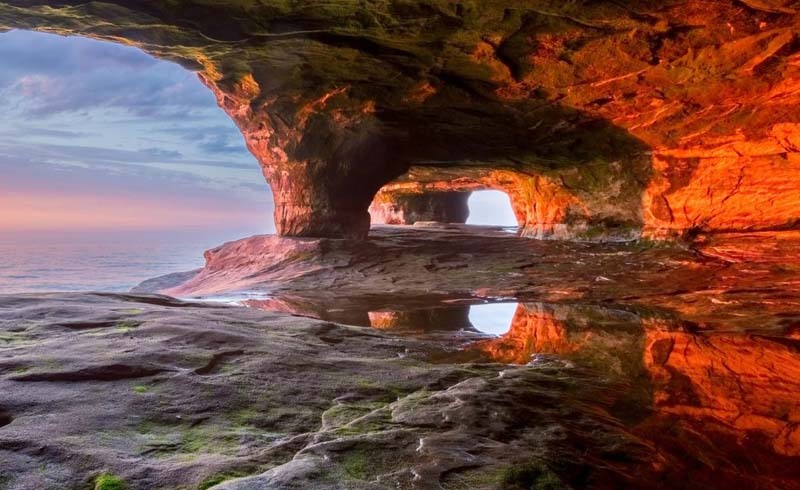 Mother Nature sure knows how to show off with these gorgeous sea caves around the world. At 72 feet tall and 270 feet deep, this cave is unlike any other. 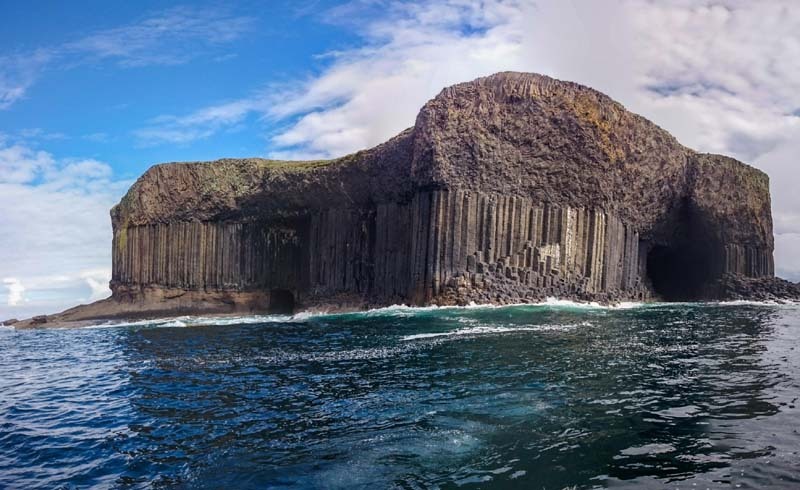 Fingal’s Cave on the uninhabited Isle of Staffa in Scotland is formed entirely of hexagon-shaped basalt columns. Its unique design has had an influence on a fair share of its visitors, including Pink Floyd. (Pink Floyd actually named an early, unreleased song after the cave.) To visit this incredible structure, you can take a boat or hike from the island. However you get there, you’ll be glad you checked this cave off your bucket list. Ana Kakenga is the most visited cave on Easter Island—and for good reason. To visit the cave, you must enter through a small hole in the ground, which measures to be slightly less than two feet wide. As you could imagine, the entrance is very tough to find without a tour guide. 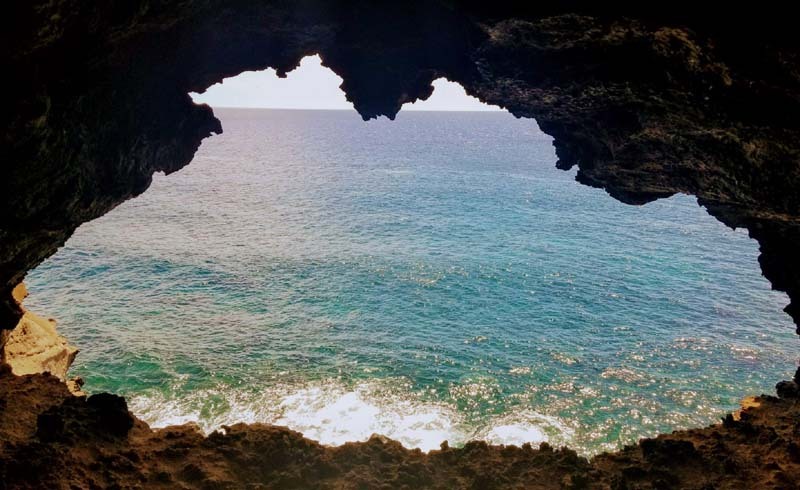 After you enter the 164-foot-long volcanic tube, you’ll find two stunning naturally formed windows looking over the water. 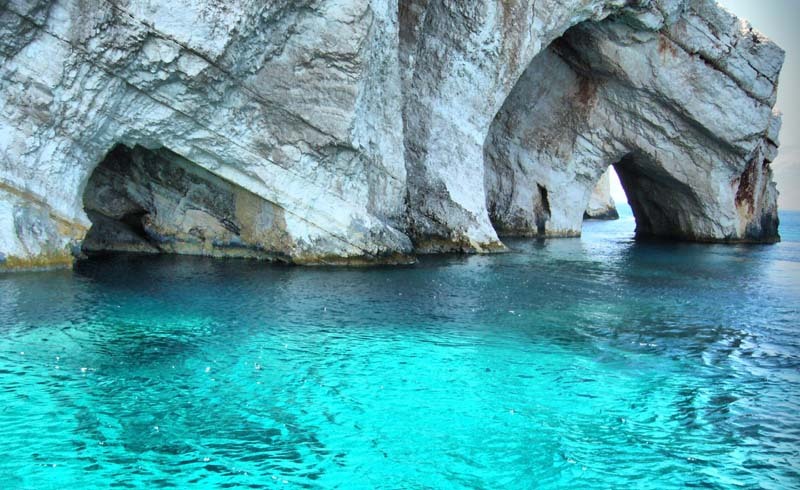 Located on the north end of the island in the cliffs below Cape Skinari, you’ll find the incredible collection of Zakynthos’ Blue Caves, with the largest being the Kianoun Cave. It’s no surprise that these caves draw in thousands of visitors every year, ever since it first opened to the public in 1897. The surrounding white cliffs and beautiful seabed reflect the blue color of the water, making the caves appear to have a turquoise hue. The caves can be visited via boats or boat tours. The marine life and crystal clear water make it a hotspot for snorkeling and scuba diving, and Shipwreck Beach, one of the beaches with the clearest water in the world, is only a few minutes away. 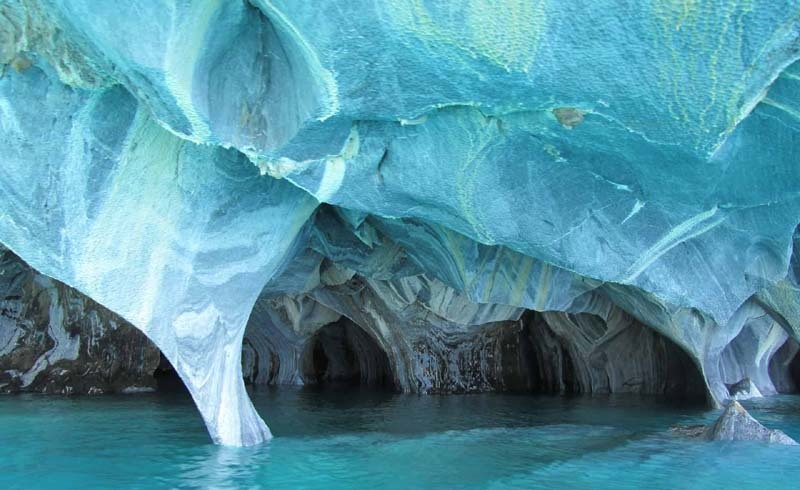 Located in the Patagonian Andes on a peninsula in the center of Lake General Carrera, the Marble Caves in Chico, Chile, are only accessible by boat or kayak. These secluded caves were formed over 6,200 years ago but still serve as spectacular natural wonders. The surrounding crystal clear waters allow visitors to see the rock formations beneath them while the rock ceilings above change color (depending on the water levels and the season). The best time to visit: during sunrise and sunset, when the sun’s rays illuminate the cave walls, making it an experience to remember. 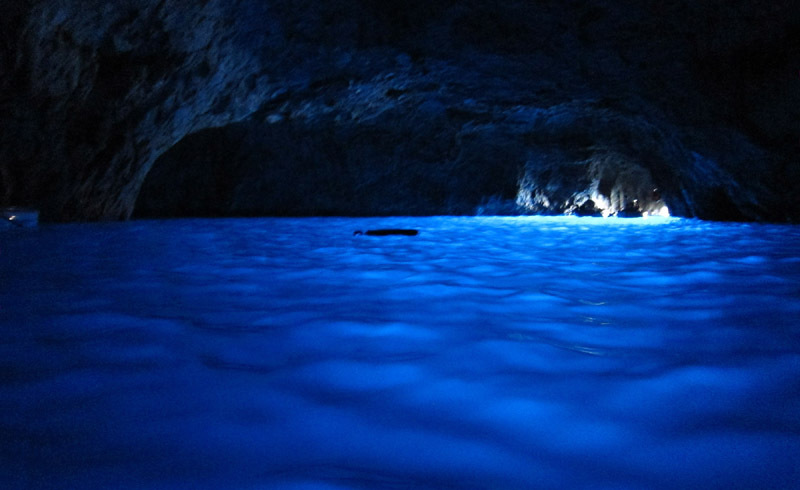 The Blue Grotto in Capri, Italy, is perhaps one of the most well-known sea caves in the world. The caves have an interesting backstory. 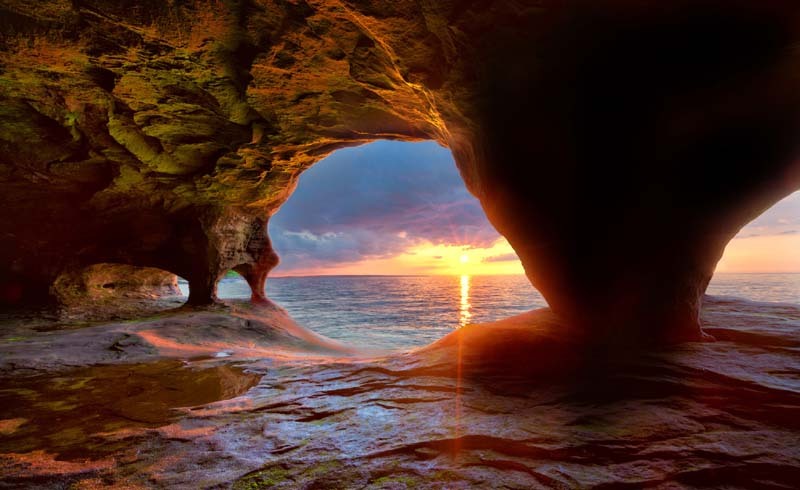 Over 2,000 years ago, the caves were used as a marine temple. Since then, rumors began speculating that spirits and demons lived inside the caves, and so it was deserted for many years. In 1826, it was rediscovered by three men, and has been open to the public ever since. The best time to visit the Blue Grotto is between 12 and 2 p.m., as the blue color from the sunlight entering through the underwater opening is strongest then. 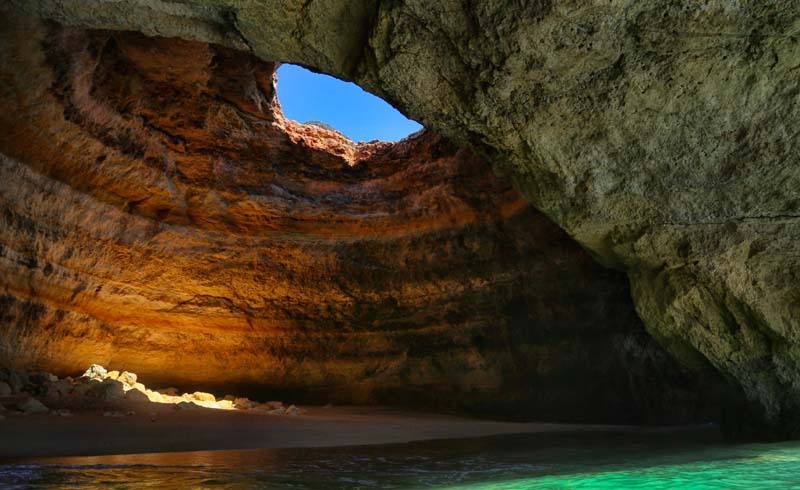 Located in the small fishing village of Benagil on the south coast of Portugal, this gorgeous cave is another well-known sight. Boat tours fill up fast here, so it’s important to book in advance. If you’re a strong swimmer, and it’s low tide, you can even swim into the cave. There, you can take a break and relax on the sand and watch the sun illuminate the water around you. 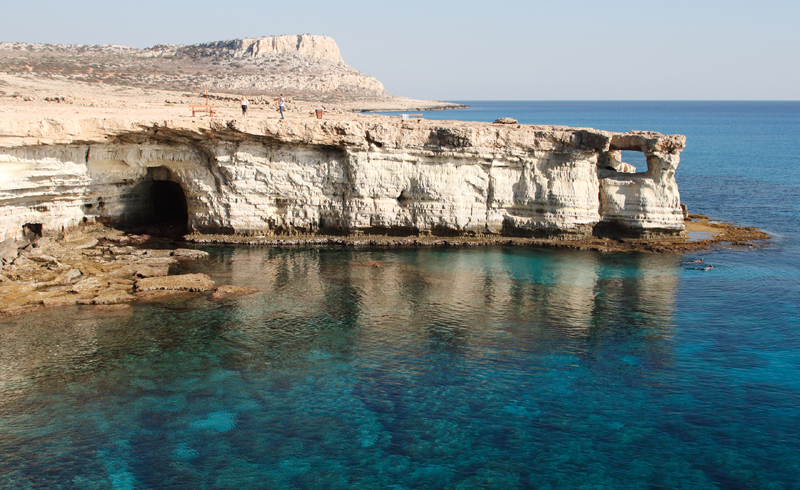 You won’t find yourself bored at the Ayia Napa Sea Caves in Cyprus. The caves are 262 feet long, and they’re full of hidden caves, tunnels, and rock bridges, which can be explored by foot at low tide. The caves’ cliffs are a hotspot for jumping off of, and it’s a great location to fish and catch octopus. 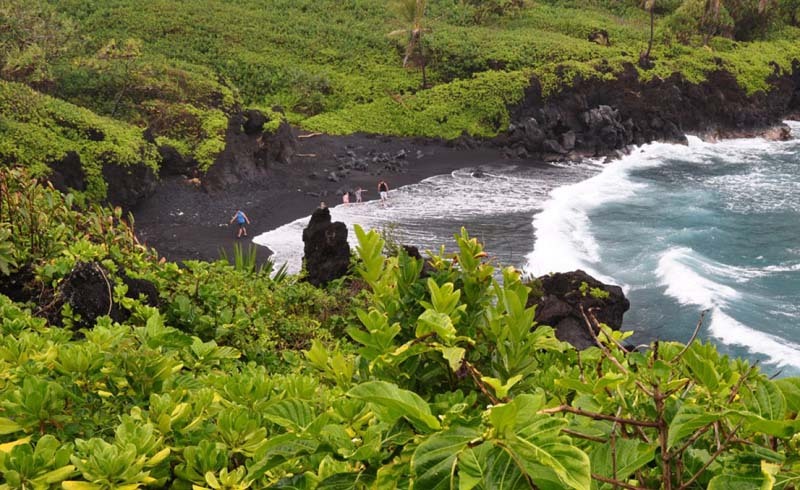 Its surrounding crystal clear waters also makes it ideal for snorkelers and swimmers. Whether you reach these spectacular caves by boats or the coastal pathway, they’re an incredible sight from land or sea. 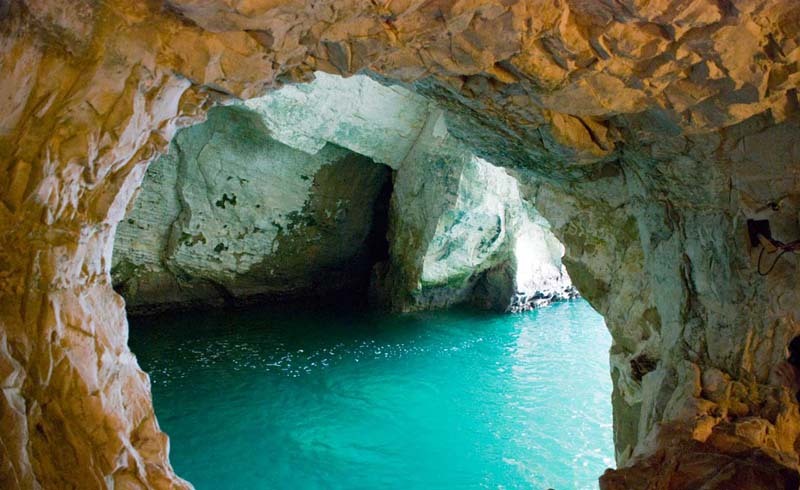 At a whopping 656 feet long, the Rosh HaNikra Grottoes in Israel are a must-visit for cave explorers—and just about anyone, for that matter. Skimming the coast of the Mediterranean Sea, these grottoes are very visitor-friendly. Travelers can take the steepest cable car trip in the world off the edge of a white chalk cliff, where it opens up into the incredible formations and plenty of trails branching off into different directions. Much like the other sea caves, Admirals Arch in Australia was formed over thousands of years of erosion. 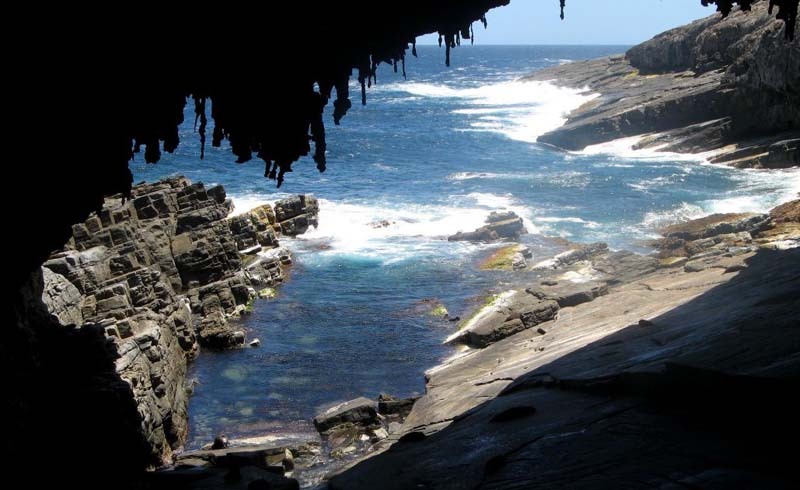 Natural stalactites dangle from the ceiling of this gorgeous cave, and visitors can even spend some time with the friendly seals and sea lions on the island. The boardwalk leading to the arch is also full of beautiful scenery. The freshwater caves at Waianapanapa State Park in Maui, Hawaii, are great for a refreshing swim in the crystal clear waters, especially after hiking the trails down to the caves. Visitors can swim in the caves at any time of the day or night, but the best time is between 11 a.m. and 1 p.m. when the sun glistens on the water and illuminates the caves’ walls.